Welcome To Tropic Seas Resort!!! Indulge in one of life’s greatest pleasures… a vacation on the beach!!! 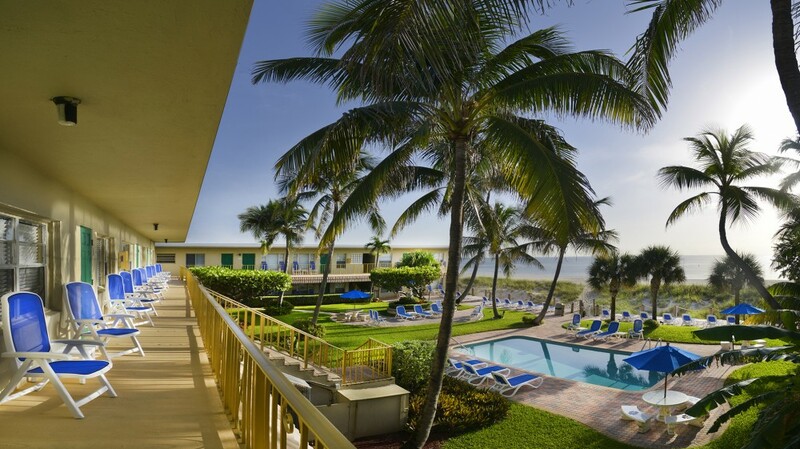 Relax in a beautiful beachfront resort on one of South Florida’s most spectacular stretches of shoreline. Take a refreshing dip in our heated, fresh water pool; stroll barefoot on the beach; explore quaint shops; enjoy first class cuisine; or just lounge around our courtyard and soak up some sun!! Enjoy an exhilarating game of tennis or volleyball, a relaxing game of golf, or an invigorating swim in the ocean…the choices are all up to you and all within walking distance!!! If you are looking for adventure, opportunities abound! Surfing, snorkeling, scuba diving, fishing, rollerblading…the sky is the limit. From bait to boat rentals, bikinis to bicycles, everything you need is available at local shops. Pamper yourself in an intimate, ocean front apartment! Tropic Seas Resort provides everything you’ll need for the perfect beach vacation! Brightly decorated hotel rooms, efficiency apartments and one bedroom apartments complete with kitchens are ready and waiting for you! All of our rooms feature Free Wi-Fi, cable TV, direct dial phones, daily maid service and breath taking oceanfront views! Laundry facilities, barbecue grills and free parking are on site. With so many choices at Tropic Seas Resort, you’ll be sure to have the vacation you’ve always wanted and with our affordable prices it can last longer than at the big brand hotels!! !